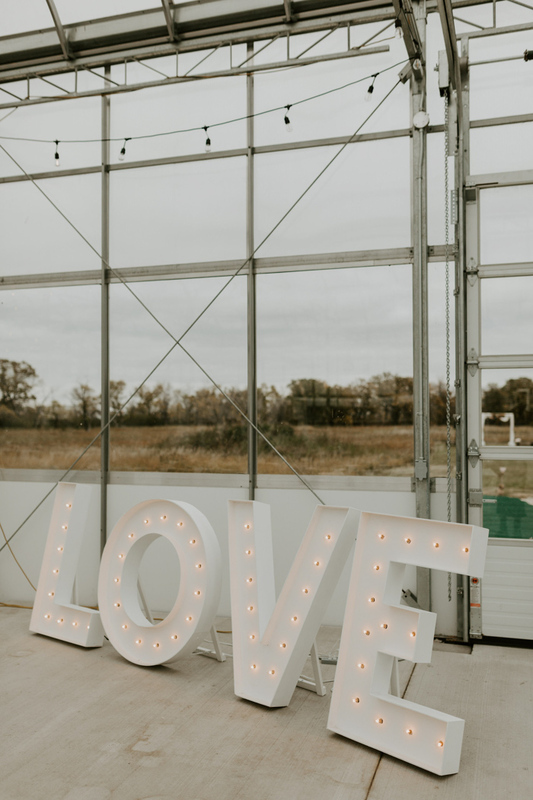 Alexandra and Chad’s Winnipeg wedding reminded us just how cool greenhouse weddings can be! 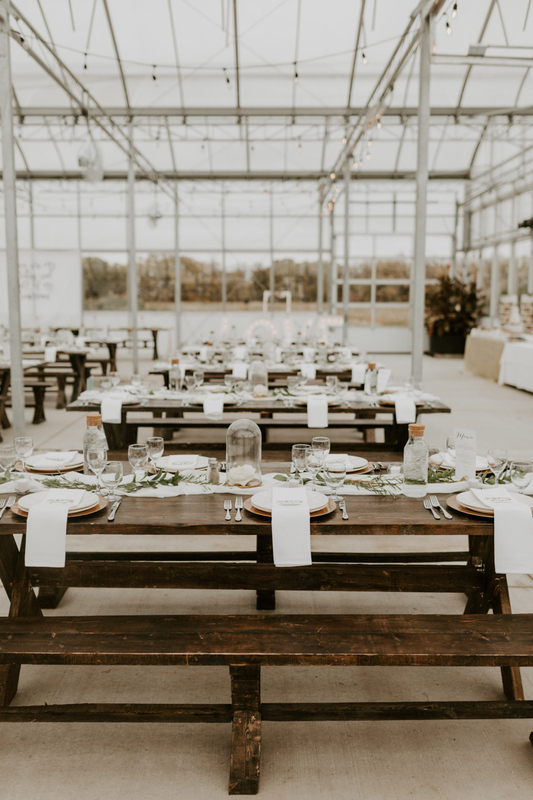 The bright and airy Gro Greenhouse space was the perfect backdrop for their minimalist, modern reception — and the fact that it wasn’t a traditional wedding venue made it all the more impressive. Let’s dive into it! 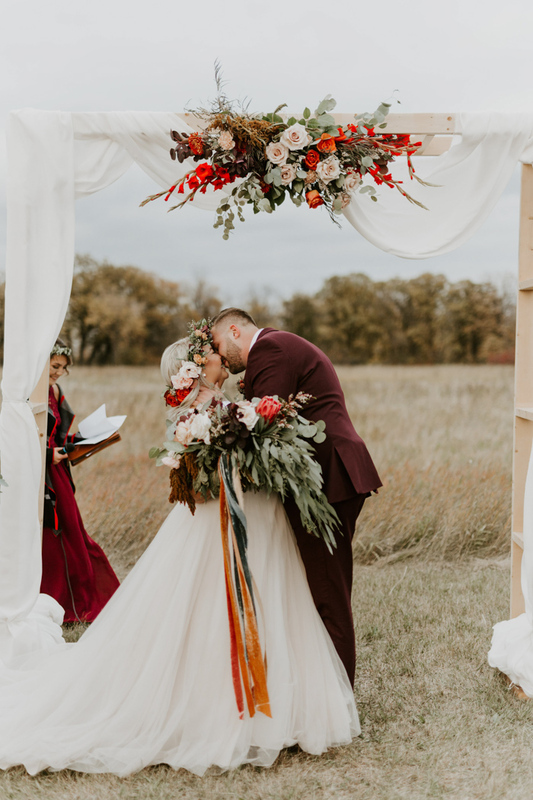 The white, green, and gold color palette complemented the fresh and organic look brilliantly while the pops of coral and red added a touch of glam that we can’t get enough of. 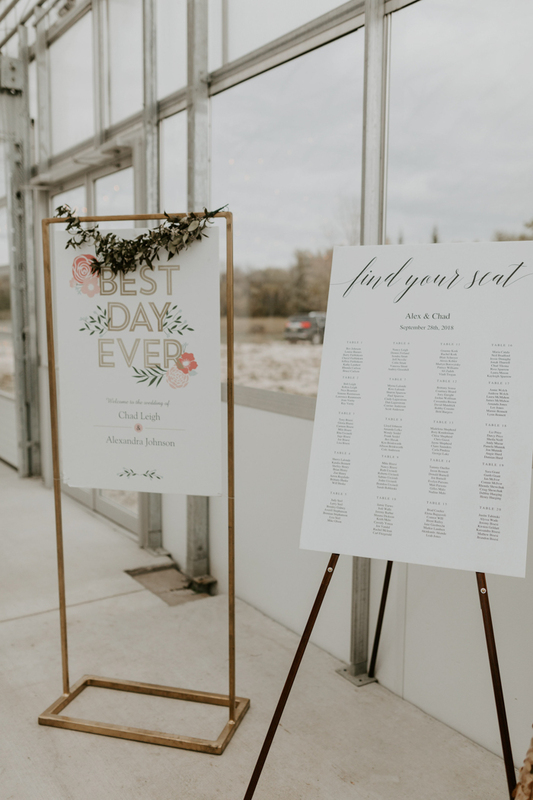 The ceremony space was done with simple benches and white lanterns plus a wedding arch with airy fabric and lush blooms on top. The reception space was filled with light and air and was done in mostly white and green. 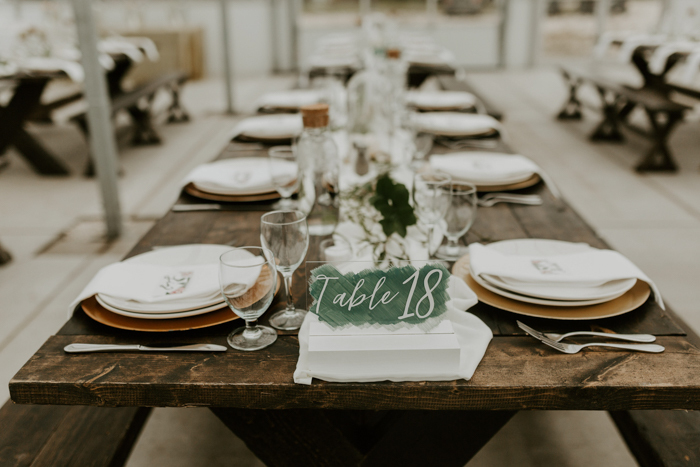 The tables were uncovered, with an airy fabric and greenery runner, with white roses in cloche centerpieces, white napkins and neutral chargers. The bride was wearing an ivory sleeveless wedding dress with a lace bodice, an embellished sash, a tulle skirt. She was rocking loose waves and a bright floral crown on top. 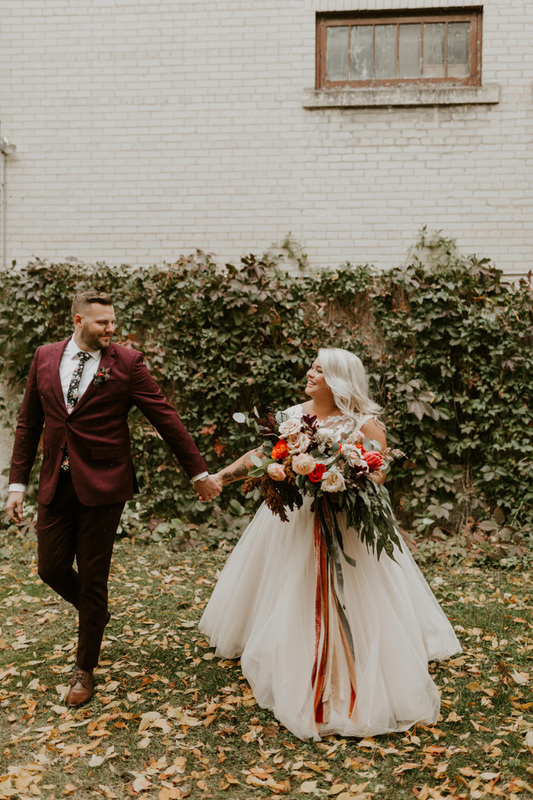 The groom was wearing a burgundy suit, a moody floral tie and brown shoes. 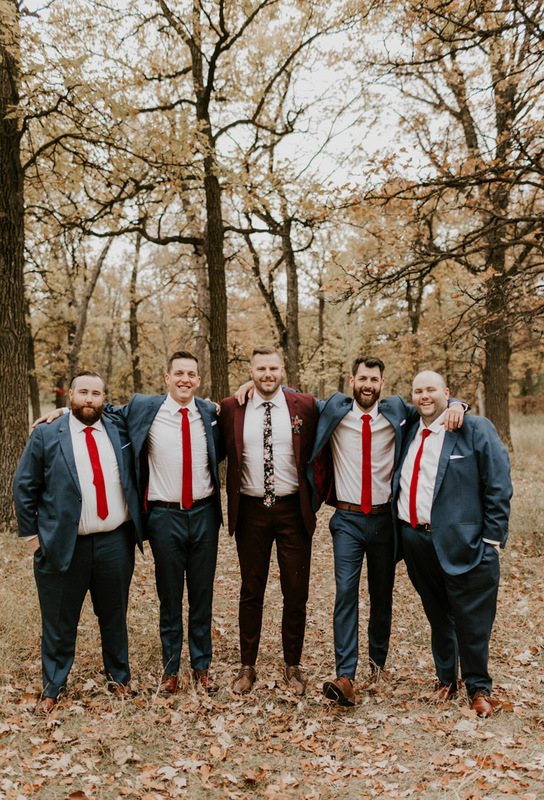 The bridesmaids were wearing mismatching maxi gowns in pastel shades and greenery crowns; the groomsmen were dressed in grey suits with red ties. 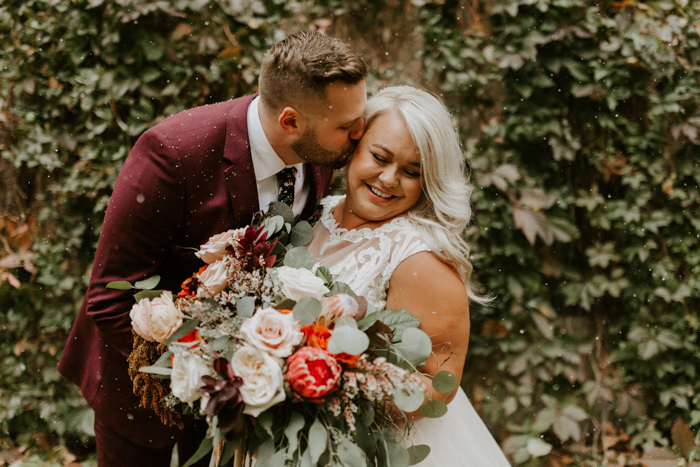 The bride was carrying a very lush bouquet in the shades of pink and red. 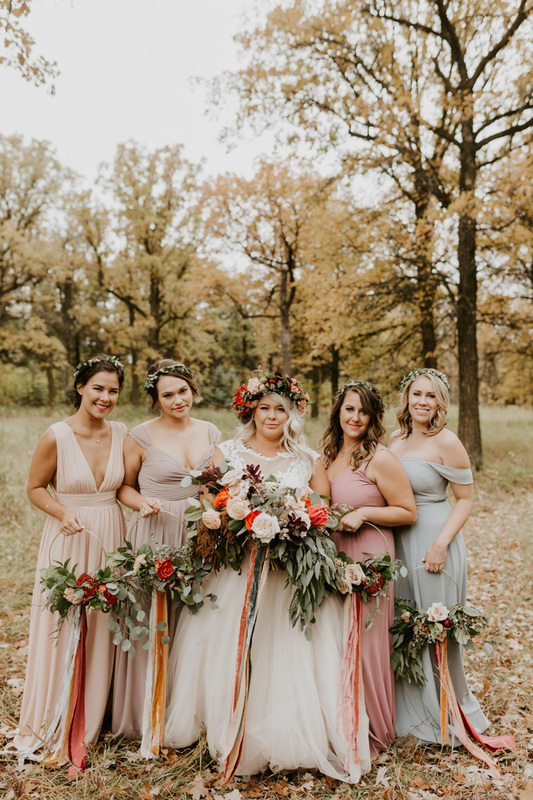 I love the idea of wreath bridesmaid bouquets with colorful velvet ribbons. 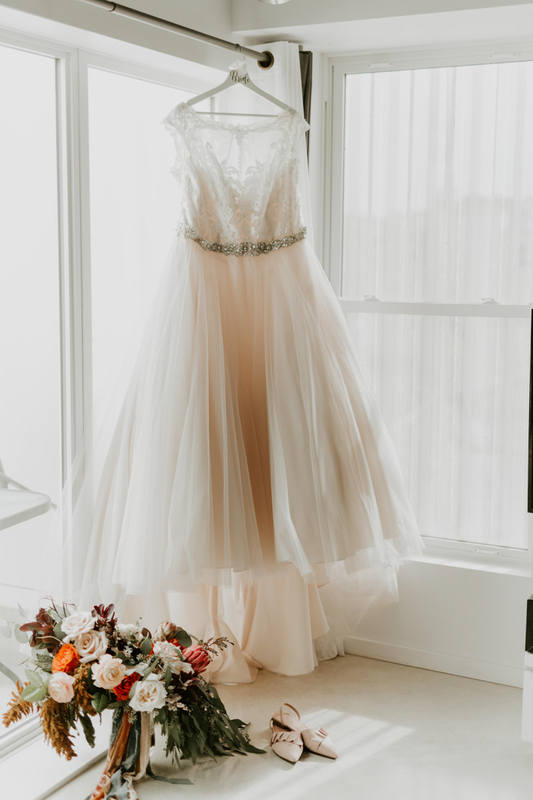 Take a look at the photos of this wedding and get inspired!